S32 Design Studio for Power v1.2 (Windows/Linux) released! S32 Design Studio for Power v1.2 (Windows/Linux) has been released. This is a complete installer which does not require any previous version to be installed. • RESET functionality added, the hardware reset2 is executed for main/boot core and individual core reset for secondary cores. The plugins to support GreenHills, IAR, iSystem, Lauterbach are not included and have to be installed from corresponding update site or installation. S32DS release notes are available here. GCC Build tools release notes are here. GCC source code for the provided binaries? GCC Source Code package is available in the download section now. Upgrading from v1.1 is impossible ? Each of the installs is completely standalone and self contained (right down to the Java binaries). You should have no problem installing them along side each other. You can even set them up with different workspaces. Example still working in V1.1.. I'm having similar troubles getting things flashed with 1.2. 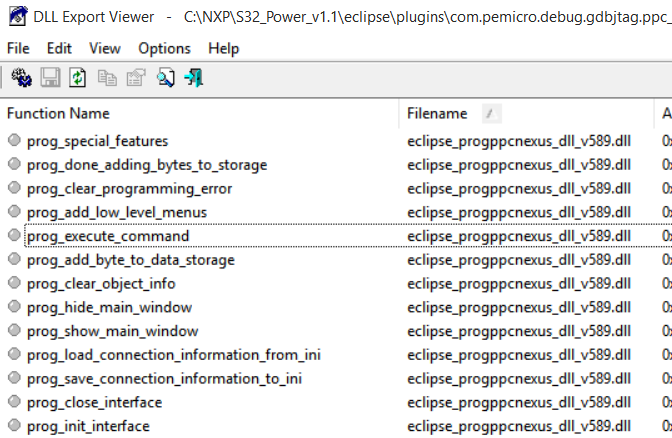 Both in the Eclipse environment and in my own command line flashing utility [GitHub - jed-frey/opensda_flasher]. I believe it's an issue stemming from the new version of the PEMicro GDB server which has been upgraded. I didn't want to say anything until I had proper time to investigate but could you try replacing the PEMicro executable with the older one from 1.1? I'm away from my bench this week, but from what I remember there were additional init steps in the newer version which I think is causing the GDB client to timeout and fail. Other things that I'd like to, but haven't, tried are changing the speed or having it not reset the micro when it attaches. I tried your suggestion and running into strange issues. For one, IVOR2_Vector() is a dead end it seems, stepping is not possible. pe/gdb also complains about a password setting, never seen before and not working from this point. I re-installed the old drivers from ./Drivers/PEDrivers_install.exe but no success. At 98%, programming of Flash/Ram starts, which was not the case before. The .add file changes the FLASHALG and programming DLL. The .PCP file changes a few things during programming. I'm wondering if it's the double_buffering. I got DLL Exporter to show a few functions. I may try to see if I can make a Python wrapper for it to flash directly skipping the GDB server part. I commend NXP for finally releasing an inexpensive automotive grade micro-devboard. However it seems like legal or the 'old' way of thinking got in the way with implementation. Those that deal with e200 daily know its value, but for a novice university student the provided software toolchain lags far behind Arduino and STMicro's devkits. I got some more time to mess around with it. I definitely think it's something with the new version of the GDB server and not the driver. The old version seemingly worked fine. Additionally I cannot find any documentation on the GDB server's commands such as what 'preserve' does or how the 'selectcore' and 'multimode' monitor commands work. Google doesn't turn up anything since this is the only software tools where the commands seem to be used. The OpenSDA chip has its own debugger. I'm wondering what the difficulty would be in getting rid of the PE Micro software and making an opensourced version. While I have had other issues with my Arduino and STMicro Discovery boards nothing on this level when doing something as simple as flashing. I am still stuck and it is frustrating. I am not sure how to proceed: Use v1.1 or try hacking PE. Jed F: How is your progress, the wrapper, or just a working workaround to this? 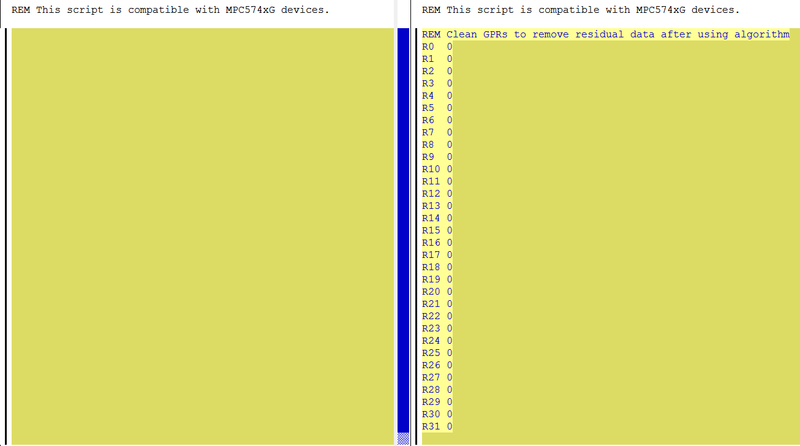 Is this somehow limited to DEVKIT-MPC5748G? I have not validated stability or such, but assume this will work now.